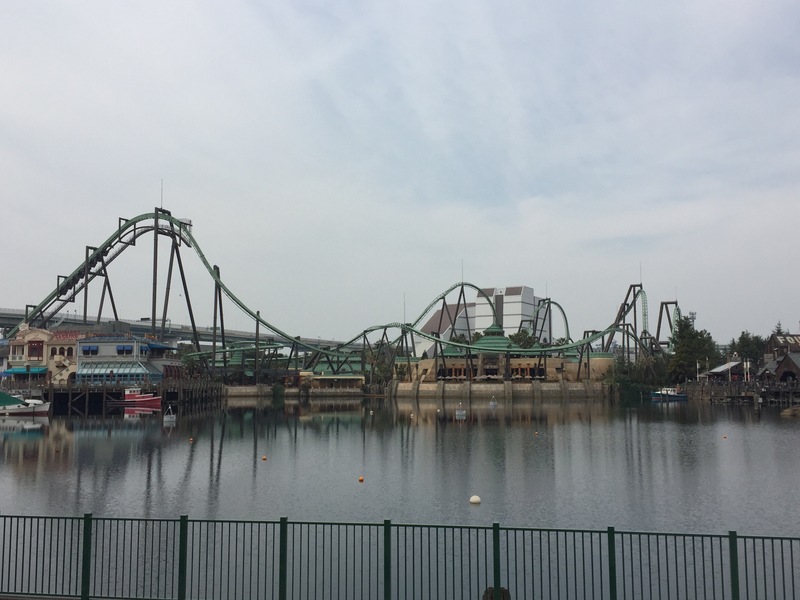 So I've been in Japan for a couple of weeks now, and got the chance to go to my first theme park outside of Australia, and wow my expectations were met. I arrived at Universal Studios at about 8:30, expecting it to open at 9, but it had open at 8, which I was surprised they would do, but I was glad they did, I couldn't get over how busy it was there. It was only about a 20 minute wait, and already all fast passes had sold out, except for the 4 thrill ride pass, which was the one I wanted anyways. Entering the park, the 'main street' reminded me of MW's, just much bigger. All the facades were really good, and all had a purpose. 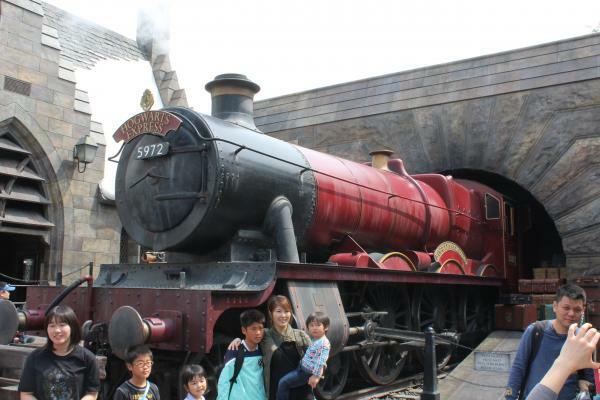 I went and got my entry ticket to Harry Potter. 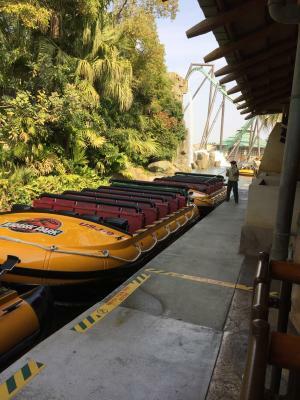 I then went on my first ride for the day, Jurassic Park. My fast pass included this ride, so the wait time was going a couple of minutes, and the ride itself was awesome. The theming was great, the animatronics were great, the couple of unexpected elements were a good touch, and then that final drop was awesome. This ride had already beaten my expectations for the rides. 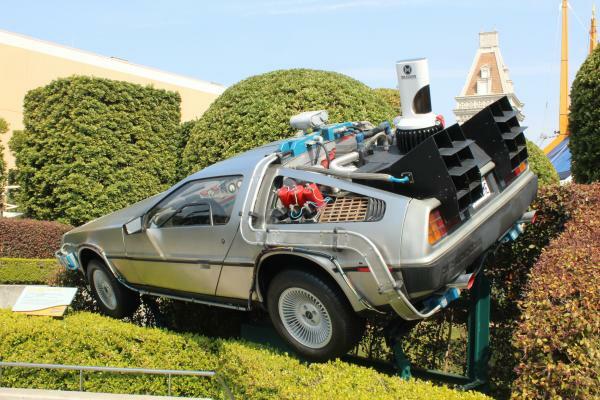 I then went a rode the Back to the Future ride. This was the longest wait I had all day (about an hour). The ride wasn't exactly what I was expecting to happen, but was pretty good. You went into a room for a briefing, and then moved into the room where the DeLorean was. It was like being in the car itself, it had all the dials that were in the movie, including the speed dial, which was a great element for the rides simulator. A thick cloud of smoke came over you and you were looking at this large dome screen. Due to the age of the ride, the video wasn't the best of quality, but as you moved around, elements like the speed dial would change. It was now time to enter the HP area, and wow wow wow wow wow. Walking up to the Hogsmeade there were references to the movie, like the flying car crashed into the tree. Upon walking through the main entrance, it was amazing. It was all so well done and you felt like you were in the movie. Even the tiniest references to the movies were there, and they all added to what I thought was one of the best themed areas I've seen. All the shops were great, and even the food was good and reasonably priced. I had a fish and chips from the main restaurant in the area, and it was only $20 (that includes a drink I bought). 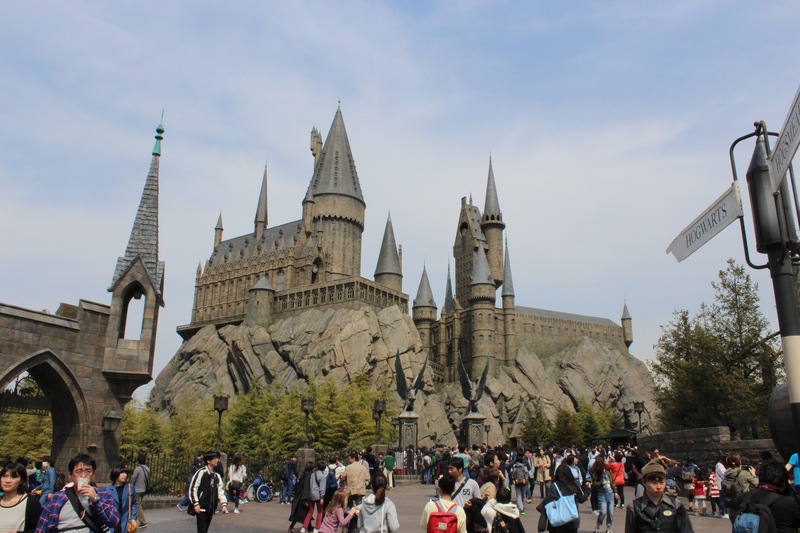 The queues for the rides were too long (Flight of the Hippogriff was 100 minutes and HP and the Forbidden Journey for 250 minutes). I did however walk through the castle and it was very cool and highly recommend it if you don't/can't do the rides. They even had the moving pictures and the class rooms. 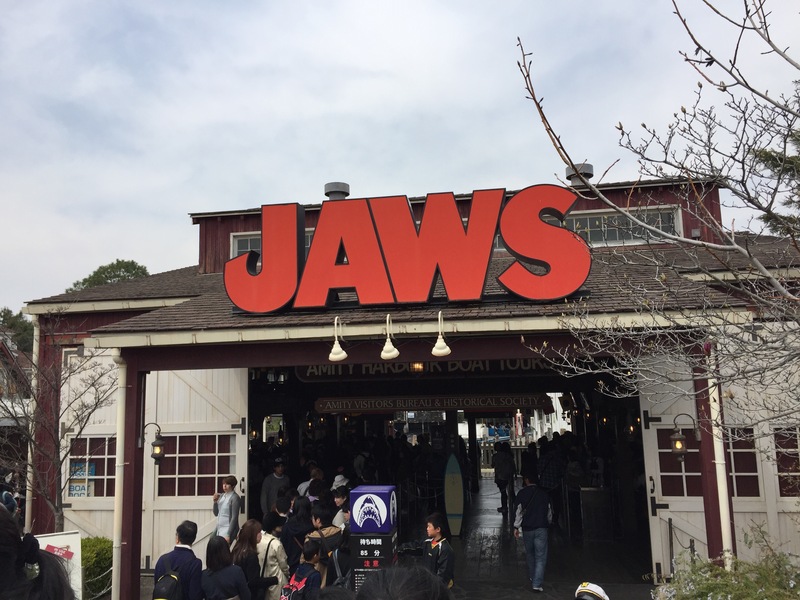 After walking through the area once more, I headed for Jaws. Yet again, another great ride. The queue was 90 minutes, but because I was a single rider it was only about 5 minutes. Despite not understanding Japanese, the enthusiasm of the staff was awesome and it didn't matter that I didn't know what they were saying. 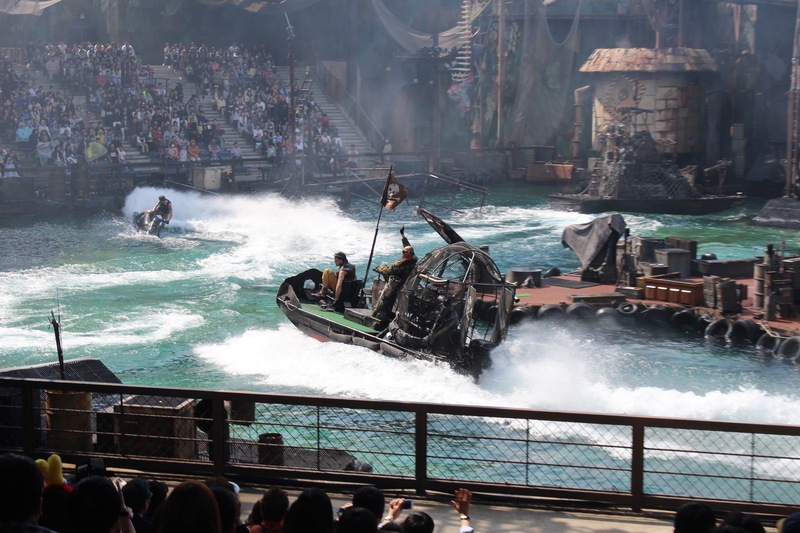 There were a couple of under expected moments in this ride, mainly having Jaws pop out the water and making a big splash. And I'll had this comment here; like in Jaws where I could't understand what they were saying, all rides were so well done and the staff were so enthusiastic with every element of the ride, even in the queues. Next was the Waterworld show. This was probably the best stunt show i've ever seen. 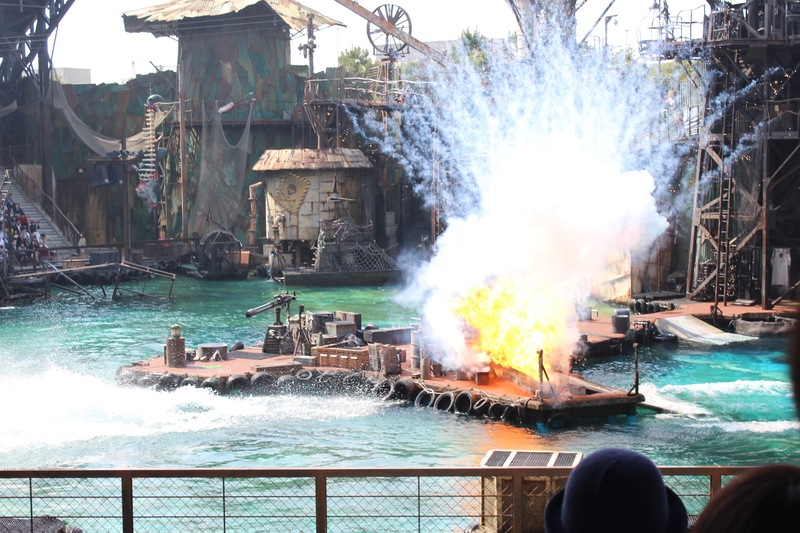 The comedic elements before the show began, with the stuntmen spraying water into the crowd and each other, and get the crowd excited was really great, and what I think should be done at the beginning of all stunt shows that have comedic elements throughout the show. The stunts were great and the use of fireworks, fire and water were awesome. The storyline was great, and there were plenty of surprise elements that added to it all. Next was the Amazing Adventures of Spiderman. And OMG, I have to say this is the best dark ride I've ever been on. The queue was about 2hrs, but again as I was a single rider, it was only about 10 minutes. The motioned car was smooth and at times made you feel like you were falling or getting hit back by things happening on the screen. 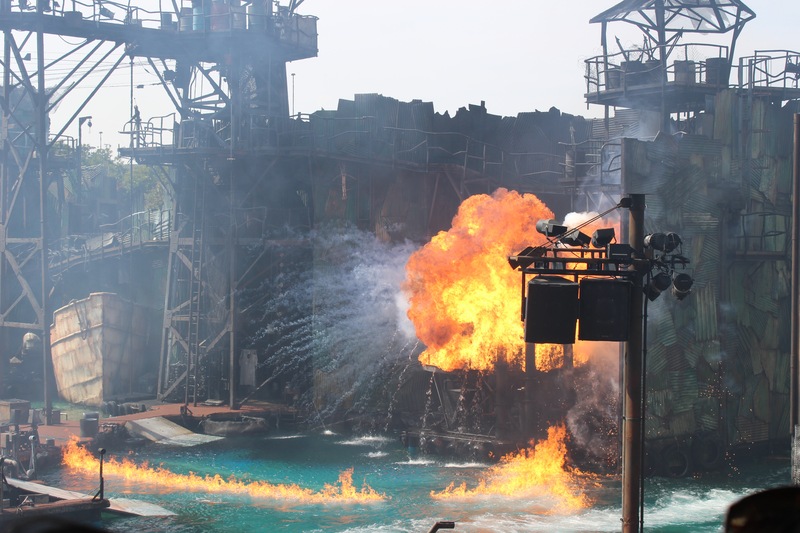 The fire effects and water spray also added that great extra element to the ride. And above all it was very well themed and had a good storyline. Next was Backdraft, this was my least favourite ride of the day, but I did it because it was a part of my fast pass. 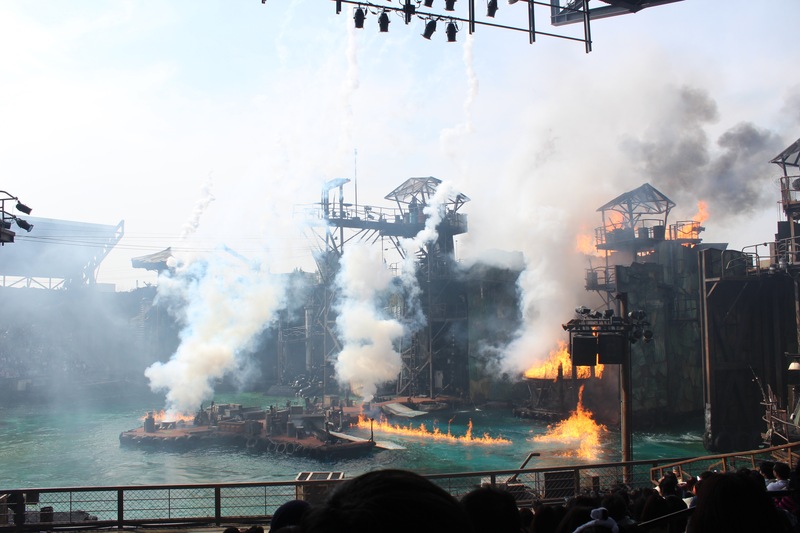 It was cool to see the film sets and have so much fire and explosion going off in front of you, but that was it really. Next was the new ride, Flying Dinosaur, that I'd been looking forward to all day, and had to wait until a certain period of time to ride because of its popularity. The ride was very strict about loose items, it was like being at the Australian parks, but this was full on. They had metal detectors and they were checking everyone to make sure you had nothing on you. You could take bags through and put loose items in a storage space, which on another note, it's great to see you don't have to hire a locker to put your stuff in, every ride had somewhere to put your stuff, or you could take it on with you. I don't know if anyone has seen photos of the ride, or even been on it yet, but it's unlike anything I've ever been on or seen before. You sat into the harness (which was very comfortable throughout the whole ride), and then it would tilt up and lock in place so you were laying down (I have seen this before, but the whole ride itself was unlike anything I've seen before). The constant turning and flipping, turning in on yourself and then plummeting to the ground and then turns so you'd be laying on your back was unreal. And it had a decent length track to it as well. If anyone visits the park, this is a must ride. Queue for it was about 240 minutes, but thankfully my fastness was for this as well. And finally I went on Hollywood Dream. Another good ride, was a decent track, good on ride music and comfortable seats. 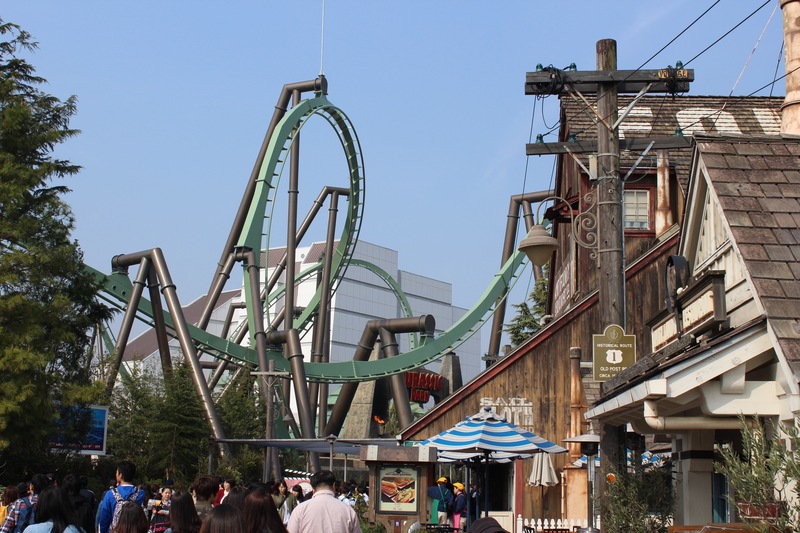 Overall, it was an awesome day, and despite the huge crowds, the staff handled it really well and queues was fast and ride loading was quick and easy. I also couldn't get over how many staff they had on. Take the Flying Dinosaur for example. They had about 10 staff in the station to operate the three trains (control booth, load and unload and direct us). And then there were about 3 staff using metal detectors, then about 6 staff in the queue line, and then about 4 staff at the entrance directing people and checking fast passes. 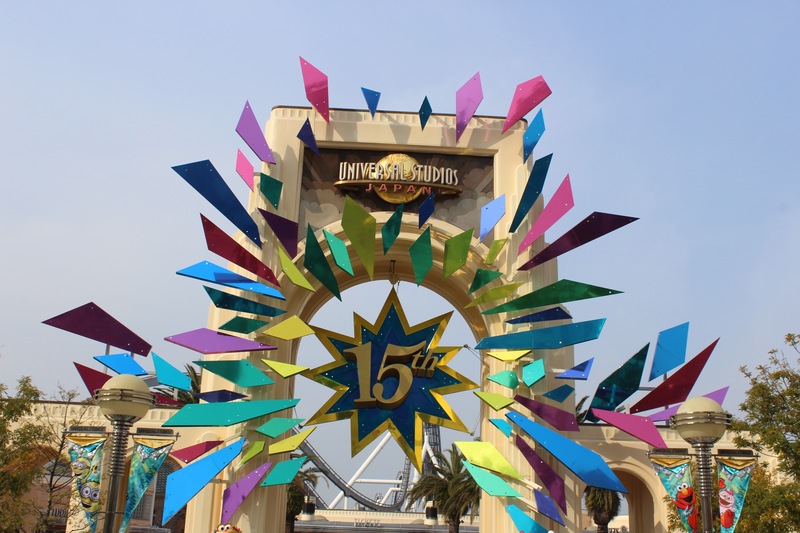 I couldn't find any flaws at the park and was glad I could finally go to a Universal Studios, as well as experience a theme park out of Australia. 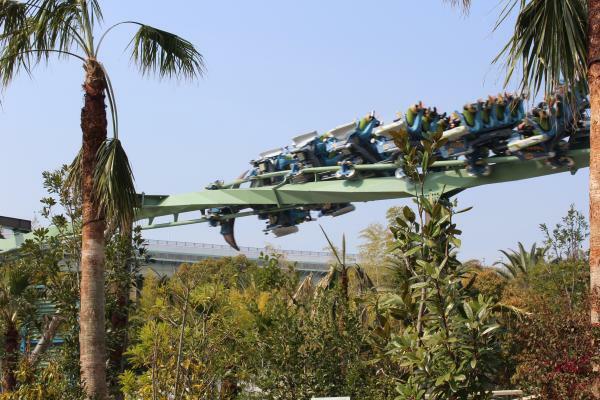 Fantastic report, at least you missed the reported 12 hour waits that had been occurring for the new coaster. Is there no single rider on forbidden journey? ^And it was a bargain, saved me some serious wait times. Oh wow, that's insane. The longest on the day I saw was about 4hrs. No there unfortunately wasn't. When I did the tour of the castle, you walk through a small section of the queue area (and at one point I thought I'd accidently joined the queue, but if I had I wouldn't have complained) and I saw the cars, and they looked pretty cool. If anyone has ridden it, is the ride similar to the Spider-Man ride, just HP? Now I guess that's something we do have to be grateful for in Australia... no 12 hour waits for new rides. Even no 2 hour waits for new rides often. Sort of, but a far more advanced ride system. It has the mixture of screens and real life sets, but the benches you ride on are mounted on the end of a robotic arm, (Google robocoaster to see the whole device) but the base of the robotic arm is on a carriage that runs along a track through the building. On YouTube look up "harry potter breakdown behind the scenes" to see how it all works. 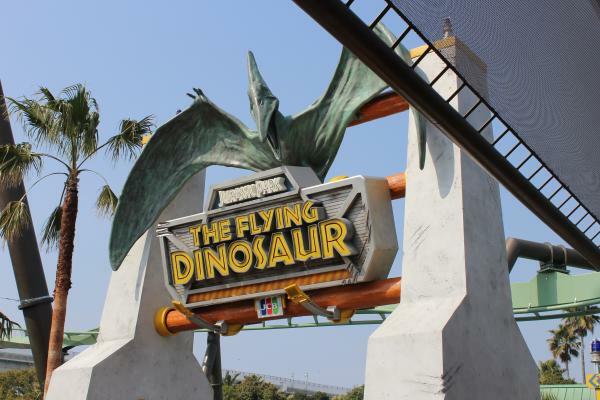 They sure finished the Flying Dinosaur quickly. They only just started construction in October when I visited. Apparently BTTF is due to close this month, the last one in the world. Yeah, it's fascinating to see how the technology has progressed from BTTF, Transformers/Spiderman to Harry Potter. It's interesting in HP how you don't really see much of anyone else in the whole ride. 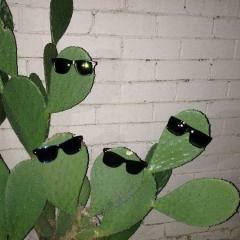 I think the 3D glasses might have been a bridge too far. It certainly is an immersive ride, although you can normally spot the transition screens between the sets. Loved the Jaws ride - certainly a throwback to the good old days. ^Oh wow, that was definitely quick then, especially since a lot of the supports are in the middle of the pathways. Ah really. Is it just because it is an older ride and needs a replacement? I did think it was in good condition, a part from the video quality. It did make me feel a bit sick after as well, mainly because of the quick and hardish movements. Unlike Spiderman, which was very smooth and I felt fine on. But with the difference in ride, despite the BTTF and Spiderman being essentially a similar ride concept, the difference in ride quality and experience is so difference. And I can't get over how good Spiderman was. I was never a fan of the Batman ride at MW and didn't think simulator rides were anything special, but Spiderman changed my opinion on that completely and just shows if done right, it can make an awesome ride. Jaws was a little shorter than expected, but was a really good ride, and I hope they keep it for many more years. 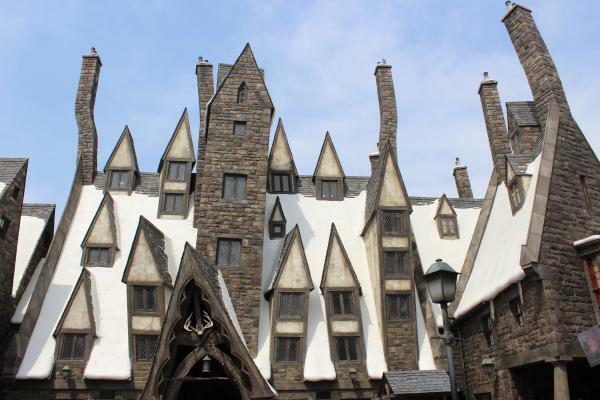 I was at the Wizarding World Of Harry Potter in Hollywood a few days back. 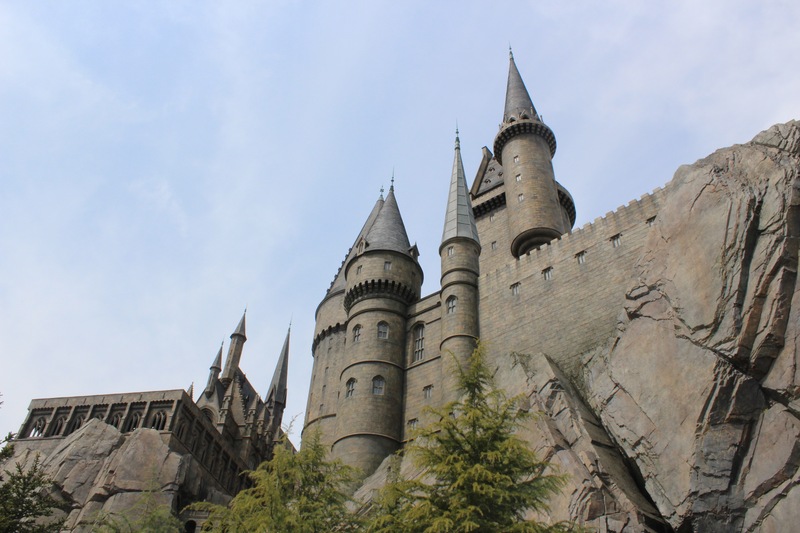 If you have 10 minutes to spare, my video contains a POV of the Forbidden Journey and Flight Of The Hippogriff. Excuse the dark bits, the castle is really dimly lit however in person you can still see the amount of detail they have included. ^That does look like a really good ride, and it's a shame I did miss out on it. And the ride system is really cool, something I've never seen before. I'm sure one day I will get a chance though.